ST. PETERSBURG, March 28. /TASS/. 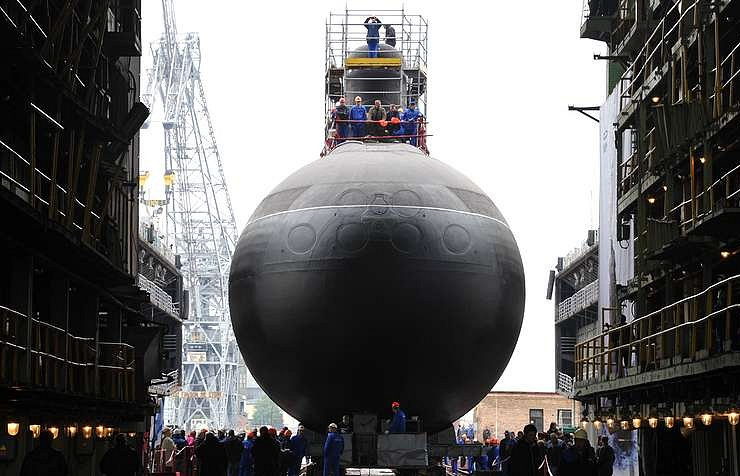 The first Project 636.3 submarine Petropavlovsk-Kamchatsky has been floated out for Russia’s Pacific Fleet at the Admiralty Shipyard in St. Petersburg, TASS reports from the scene. "A contract for the construction of submarines for the Pacific Fleet was signed in September 2016 at the Army forum. In 2019, the submarine will be delivered to the Pacific Fleet," Admiralty Shipyard CEO Alexander Buzakov said at the launch ceremony. The Project 636.3 (‘Varshavyanka’) is referred to the third generation of diesel-electric submarines. The submarines of this type have been designed by the Rubin Central Design Bureau. 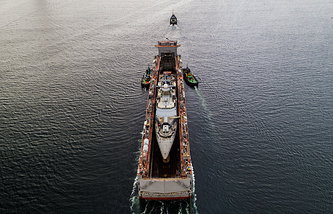 They develop a speed of up to 20 knots, have sea endurance of 45 days and a crew of 50 men. The submarines of this class displace over 2,000 tonnes in their surface position and about 4,000 tonnes under the water. Varshavyanka-class subs are armed with Kalibr cruise missiles. The shipbuilders are planning to build six such submarines for the Pacific Fleet by 2022. The first series of six submarines for the Black Sea Fleet was under construction from 2010 to 2016. The first two subs have been named the Petropavlovsk-Kamchatsky and the Volkhov. Project 636 submarines are considered to be the most noiseless among Russian conventional subs. They have been dubbed the ‘Black Hole’ for their unique quietness. They are also furnished with modern radar and communications systems, sonars and 533mm torpedoes.